Congratulations to all our committees and volunteers in their organising of the successful Anzac Day commemorations throughout the Shire. It was uplifting to see our wonderful residents paying their respect to our past and present servicemen and women. The Draft Operational Budget for 2016 – 17 has now been prepared. 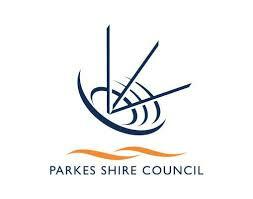 This document outlines the programs and projects Parkes Shire Council will undertake over the next twelve months and how these will be funded. All documents are available for review at Council’s Administration Office at 2 Cecile Street Parkes. The Parkes CBD Vibrancy Strategy has been on public display at the Council PMO office in the old CBA building over the last two weeks. Council would like to thank the great number of residents that have shared their feedback on the plans and encourage all interested residents to attend the public workshop next Monday from 6pm in the Council Chambers. Parkes Painting Group will tonight host their opening night for their art exhibition in the Coventry Room at Parkes Library. I encourage our local residents to support this event as all money raised will be donated to the Parkes Hospital. And it’s not long now till we dust off our sequins and enjoy a great weekend of fun at our iconic ABBA Festival. This year has already seen over 2000 tickets sold. Don’t miss out, get in and buy your ticket today. Enjoy the Autumn weather. I hope our Shire’s farming community has been able to capture some of the sporadic rain over the last week during this unseasonably dry time. The recommendations of the Parkes CBD Vibrancy Strategy seek to improve the overall appearance and performance of the town centre and focus on 6 main areas including, small wins, further designs, car parking and movement, activation and maintenance. The Strategy will be on public exhibition until 20th May. Another successful NSW Touch Football Junior Regionals was hosted in Parkes recently, seeing over 750 competitors and team officials and their families converge on our great centre. Congratulations to all the organisers and volunteers, it’s great to see such high level competition within our region. Anzac Day celebrations are planned throughout the Shire next Monday, with services taking place in Alectown, Peak Hill, Bogan Gate, Trundle, Tullamore and Parkes. I encourage all our residents to support our services and pay respect to our past and present servicemen and women. Our Shire’s iconic ABBA Festival is coming up on May 7th with over 2,000 tickets already sold for this year’s festival. Organisers are excited by the response and say this year is shaping up to be the largest. Enjoy your last weekend of the school holiday period. I always enjoy the autumn weather within our great Shire and the crisper mornings and warm sunshine this week has been no exception. Council has a number of major projects commencing public exhibition this week and interested community members are encouraged to review and provide feedback. As part of the approved Parkes Water Treatment Plant (WTP) project, a need for the installation of a Photovoltaic (PV, or solar) array has been identified to offset the expected energy consumption at the proposed plant. The Installation of Solar Panels Addendum 1 to the Review of Environmental Factors will be on public exhibition until Wednesday 11th May 2016. The draft Parkes Shire Pedestrian and Cycling Strategy, which is available to view until 13th May, provides the framework for the development of pedestrian and cyclist facilities in the Parkes Shire. The vision is that Parkes will be recognised as bicycle and pedestrian friendly, with quality formed footpaths and cycleway facilities which provide safe and enjoyable experiences. The new waste management collection system successfully commenced earlier this month and is already showing significant diversion rates of kitchen and garden organics away from landfill. The final step of introducing the new three bin waste management service is the removal of the old bins, which will happen from Tuesday April 26th throughout the Parkes Shire. Enjoy a happy and safe school holiday period. highlighting the important role senior resident’s play and the contributions they make to our local community. Youth Week 2016 will be held from today (April 8th) to April 16th, and to celebrate a Free Pop-Up Cinema will travel to each township in the Shire so bring your chairs, bean bags, a picnic and the whole family. Visit Council’s website to find out more details. Parkes Upmarkets are on this Sunday in Cooke Park from 9am-1pm showcasing a wide variety of stall holders with tasty treats and handmade goodies. Enjoy the sunshine and head on down. It’s a great time of year to be out and about, with the region’s sporting competitions in full swing and lots of events and activities for all our residents. I encourage everyone to get out and enjoy our Parkes Shire. Council encourages residents to utilise the information on the Council website, including understanding your water account bill and ways to conserve water in your home and garden. Local events continue into the Easter school holiday break with activities planned for all ages. Seniors Week kicks off this Friday and continues through to April 10th, with various activities being organised including an art exhibition at the Parkes Library and a range of activities organised by Neighbourhood Central. Youth Week 2016 will be held from April 8th to 16th, and to celebrate a free Pop-Up Cinema will travel to each township in the Shire so bring your chairs, bean bags, a picnic and the whole family. Visit Council’s website to find out more details of these events. There is always a lot to see and do in our Shire and this Easter long weekend is no exception. The Tullamore Irish Festival is set to be action packed with loads of activities and entertainment for all the family. Congratulations to the organisers of the Festival which promises to be a great event. Youth Week 2016 will be held from April 8th to 16th and to celebrate a Pop Up Cinema will travel to each township in the Shire screening free movies to our youth, and Seniors Week kicks off (1st-10th April) with various activities being organised by Neighbourhood Central. Visit our Council website to find out more details of both these events. Parkes Shire Council’s new Waste Collection Service is set to start from the 4th of April, enabling residents to waste less and recycle more. This means residents that have garbage collection services will have access to three waste services – organics, recycling and general waste. Netwaste in conjunction with Council will be providing more information to ensure all residents are confident in using the new service. Parkes, Peak Hill, Trundle and Tullamore pools will remain open over the Easter long weekend following Parkes Council agreeing to extend the season to Sunday, 3rd April. Although the community request for the season extension has been granted it’s important to acknowledge the additional costs associated with the pools remaining open and we appreciate the communities’ ongoing patronage of the pool. Enjoy your Easter break! I trust the warmest March that I can remember isn’t getting you down? The pool is lovely at this time of year, it’s been great to see the ladies aqua aerobics and Men’s Shed group taking advantage of the idyllic conditions. Ideally, the farming community would like to see some rain so that early sowing and winter crop preparations can commence. As a result, dam water supplies are perilously low on many farms, and a run off event is needed. The dry season has also impacted our water consumption with higher than average being seen for the past 3 months. Many residents may see a spike in their water bills which will be issued on April 1 as a result of this increased consumption. The feedback from residents regarding the new waste disposal service has certainly been interesting. While I acknowledge that Netwaste and Council have not effectively sold the benefits and advantages of the new system, I encourage all residents to do their best to change their habits to meet the new bin schedule. The Marbles Championships is sure to be a great evening at the golf club tonight. Why not also venture to the Tullamore Irish Festival this Easter, as it promises to be an amazing event with wonderful hospitality and entertainment. Thank you to all the volunteers who are assisting with the sorting out and packing of unwanted items from the old Parkes and Forbes hospitals, your help is greatly appreciated. Well done to Cheryl and the Parkes Phoenix team. The first publication was a credit to your hard work and organisation. Parkes Shire Council’s new Waste Collection Service is almost here, enabling residents to waste less and recycle more, the new system will commence from the 4th of April. team and learn about the packages of work available. We are very fortunate in our shire to boast an active community and a number of exciting events The Parkes Field Day is being held today I encourage everyone to head to the Racecourse to support our local businesses and industry. Congratulations to the organisers of the Field Day which again promises to be a great event. There is always a lot to see and do in our Shire and I encourage you to get out and enjoy all it has to offer. Visit Council’s website to keep informed about events and happenings in the Shire.